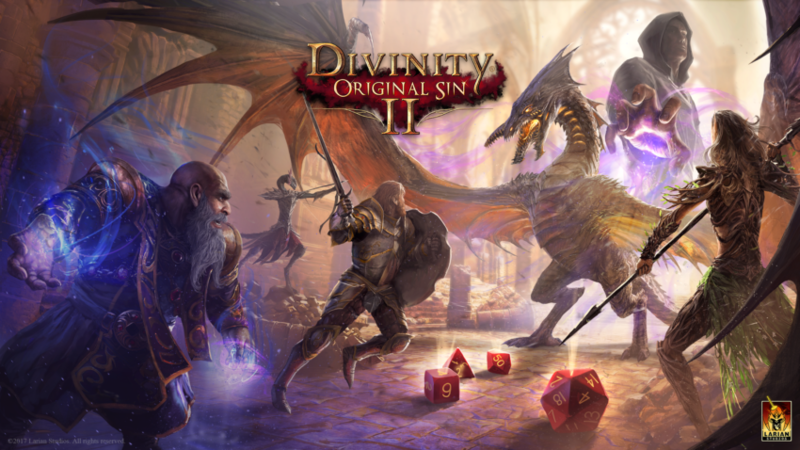 GHENT, Belgium – May 9, 2017 – Larian Studios has today revealed detailed information about Game Master Mode, a feature in Divinity: Original Sin 2 that lets players use Divinity’s combat and roleplaying systems to create their own custom tabletop RPG campaigns. To show the flexibility and authenticity of Game Master mode, Larian have invited Matt Mercer, Game Master of Geek and Sundry’s Critical Role show, to stream a campaign of his own design today at 4:00 PM Pacific Time. Tune in to the stream, which will feature popular livestreamers Jesse Cox, Dodger, Strippin, and Bikeman as brave and noble adventurers in Mercer’s world, at https://www.twitch.tv/larianstudios. Developed as a fulfilled stretch goal from Divinity: Original Sin 2’s Kickstarter campaign, Game Master mode is an ambitious undertaking that captures the tabletop RPG experience for four players and their game master. Game Master Mode is focused on storytelling, and game masters have complete control over the campaign they create. They can choose from a wide array of campaign maps or upload their own images to serve as the global stage for their adventure, and choose from a huge number of pre-built settings and character models to create combat and roleplaying encounters. Game masters can also use Divinity: Original Sin 2’s completely overhauled modding tool to build their own battle arenas, provincial villages, haunted ruins, and many other classic fantasy adventure settings. Role playing and NPC interactions are facilitated through a “vignettes” system, which allows game masters to create text “cards” that allow players to choose between multiple dialogue and decision options and make dice-based skill checks. Just like in real tabletop games, success is determined by the game master alone, who is free to fudge the numbers however he or she sees fit. When fights do break out, game masters and players have Divinity’s full tactical combat system at their disposal – game masters can let enemies fight automatically, or take direct control over NPCs to match their players in head-to-head combat or support them in battle. Learn more about Divinity: Original Sin 2 and download on Steam Early Access here: http://store.steampowered.com/app/435150/. For more information, visit: http://larian.com/ and http://divinity.game.